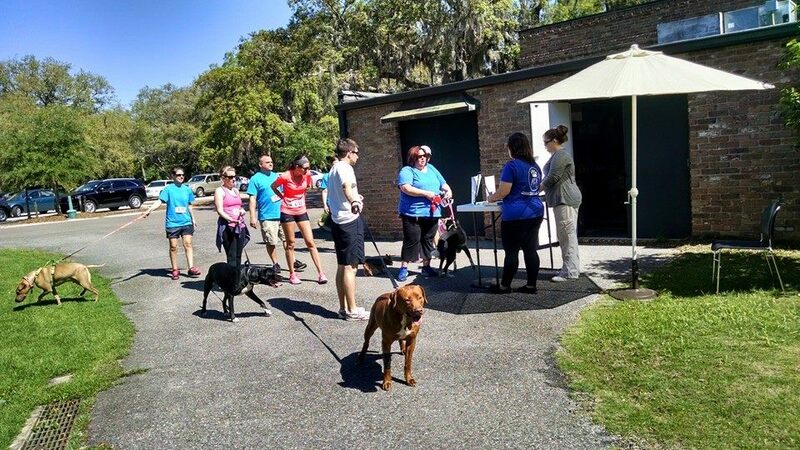 Bellingrath Gardens and Home will host the fifth annual Wiggle Waggle Rescue Run on Saturday, April 27. Guests are invited to participate in one of two races: A certified 5K run for humans only starting at 8 a.m. or a 1 mile fun run / walk for dog owners and their pups, which will begin at 9 a.m. Both races will benefit the Animal Rescue Foundation (ARF). The Rescue Run is part of the Gulf Coast Corporate Cup Challenge. To register for either race, click here. Food and beverages will be provided for runners. All registered runners and walkers will receive a discounted admission of $5 to the Gardens for the day, and their family members and friends will receive discounted admission prices of $10 for adults and $5 for children ages 5-12. Have you always wanted to walk your dog at Bellingrath? Now is your chance! On April 27, 2019, dogs will be allowed in the Gardens from 8 a.m. to noon in exchange for a $5 donation to ARF. Please review the Wiggle Waggle Dog Day Guidelines (see below) prior to entering the Gardens. No dog to walk? No problem! For a $10 donation you can rent a rescue for the walk. To reserve a rescue, email: Ali@AnimalRescueMobile.org. For information on the Animal Rescue Foundation, visit www.animalrescuemobile.org. Due to safety concerns, children under 12 with a dog must have adult supervision when entering the Gardens. No aggressive dogs will be allowed in. Owners should be aware of and are responsible for their dog’s behavior and must leave if requested. All dogs must wear a leash (no longer than 6 feet) and collar. All dogs must be properly licensed, healthy and have current vaccinations. Dogs need to be kept on pathways and open lawns in Bellingrath Gardens. No dog should be left unattended. No pets allowed in any of the buildings (restrooms, Entrance Building, Gift Shop/Café, Bellingrath Home, etc.) at Bellingrath Gardens. Participants are responsible for water for their dogs. There is a $5 donation to ARF for each dog that enters Bellingrath Gardens benefiting the Animal Rescue Foundation. These rules apply to participants of the Wiggle Waggle race and to any visitors who are on Bellingrath Gardens property. The Pet Motel is available free of charge upon a first-come, first-served basis for visitors who wish to enter into the Gardens without their pet. The Wiggle Waggle Dog Day at Bellingrath Gardens is a one-day event. On all other days, only service animals are admitted into Bellingrath Gardens and Home.